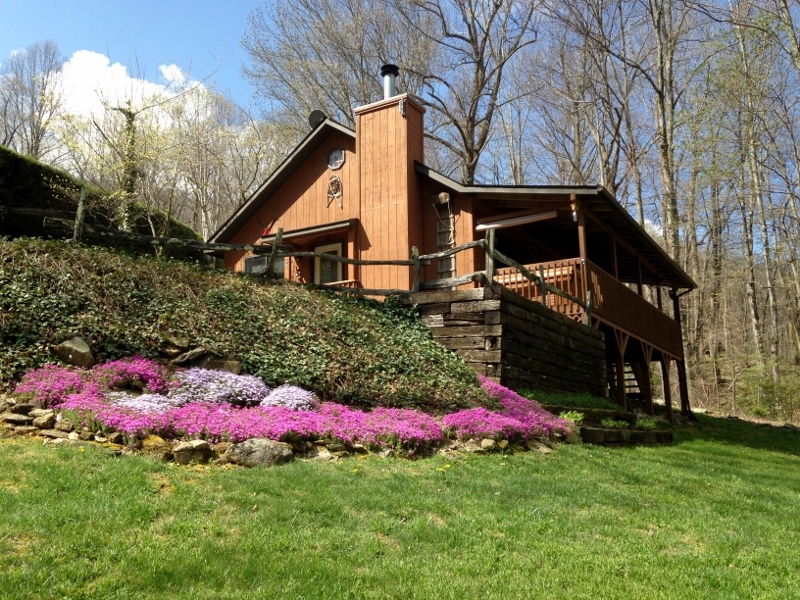 Welcome to Johnson Branch Cabins, where Swiss heritage meets Southern hospitality to create a special vacation experience. 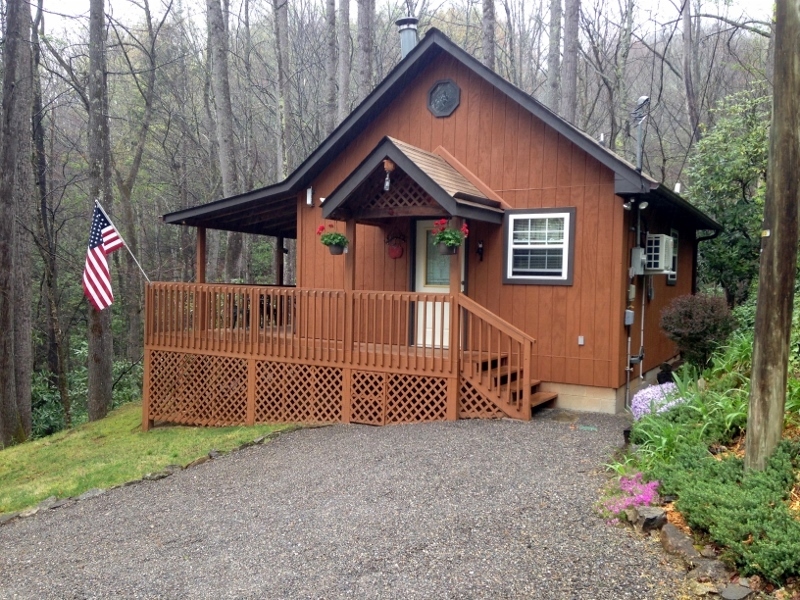 Since 1997 our family has proudly offered beautiful, hand-crafted cabins for rent in the Smoky Mountains. Our cabin rentals are located in Maggie Valley (map), surrounded by Western North Carolina’s unmatched beauty, all three of our cabins are fully equipped – all you need to pack are your clothes! Each cabin has a hot tub, cable, wi-fi, central air and heat, but you might choose to kick back on the porch and listen to the sounds of the Johnson Branch creek and the soft mountain breeze instead. 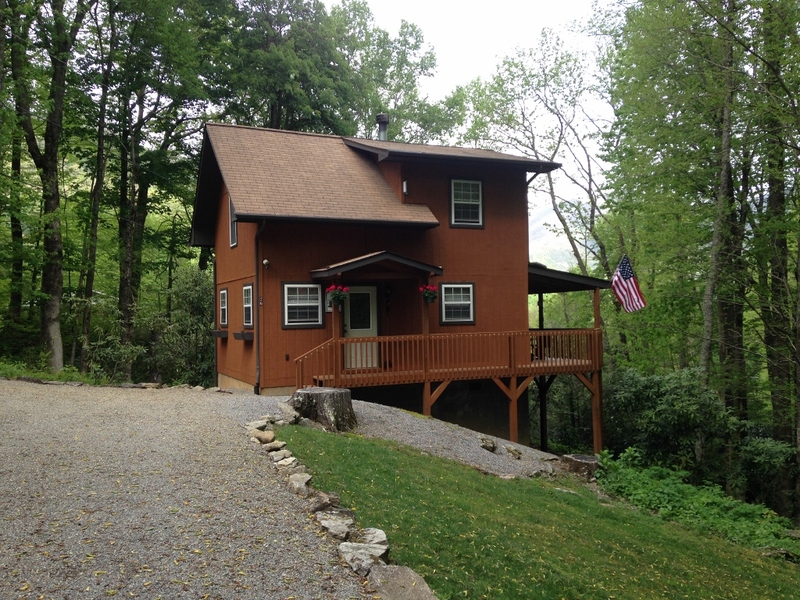 Whether you enjoy active vacations or more restful ones, our Maggie Valley Cabin Rentals are a great home base for experiencing Western North Carolina. Golfers will enjoy the beautiful, uncrowded mountain courses. Hikers can explore the spectacular trails in the Great Smoky Mountains National Park, America’s most visited national park, or try a section of the legendary Appalachian Trail. Mountain bikers from all over the country converge on this part of the state to test themselves, but the average rider will also find many beautiful places to just cruise and enjoy the fantastic views. There’s trout fishing, white water rafting/tubing, canoeing, zip lines, birding – there’s even a ski area just minutes away for winter fun. 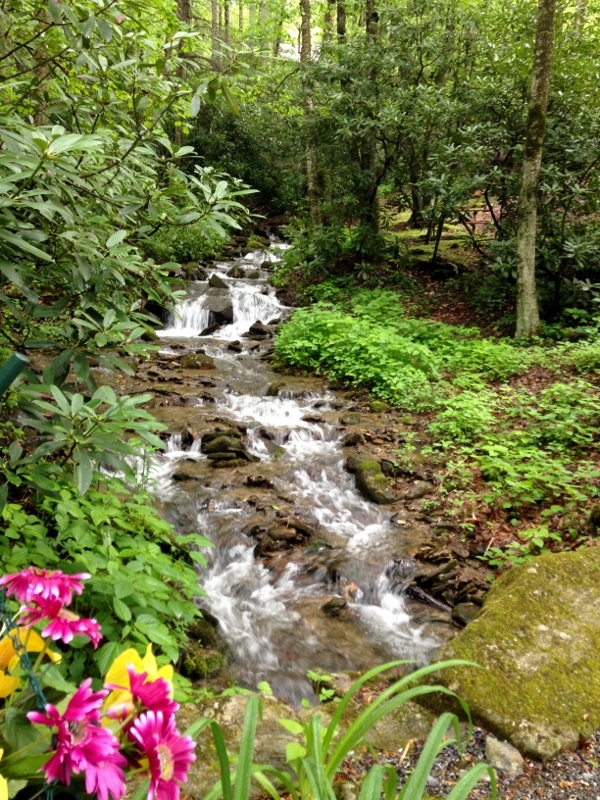 If you enjoy exploring new areas at a more relaxed pace, Maggie Valley and the mountain towns of western North Carolina will yield many hidden treasures. Traditional mountain crafts are still going strong; many contemporary artists have been drawn to these lovely mountains as well, and the results are on display at the numerous art galleries, pottery studios and shops that abound in the area. Take some time and stroll through one of the local Farmer’s Markets and check out the beautiful produce, flowers, meat and seafood on display – maybe pick up the ingredients for a fantastic dinner, since your cabin comes with a fully equipped kitchen. Don’t want to cook on vacation? Not a problem! Restaurants are plentiful, and choices nearly unlimited – families and foodies, BBQ lovers and vegetarians, country or classical, every taste and budget will find an excellent meal waiting. Music is everywhere in these mountains; weekend festivals and local venues showcase both stars and new talent. Each summer, the nearby town of Waynesville hosts Folkmoot, an international dance festival. Easy day-trips from Maggie Valley include the Biltmore Estate, the Vanderbilt’s extraordinary house (America’s largest privately-owned home), and Cherokee, where the Eastern Band of the Cherokee offer a fascinating insight into American history thru an excellent Museum and the well known outdoor play “Unto These Hills”. Traditional crafts are available, and the Oconaluftee Indian Village is great for kids (and adults, too). If you’re feeling froggy, Harrah’s casino will be happy to let you try your luck. If you like to just drive around, the Blue Ridge Parkway is one of the country’s most beautiful roads; if you like to roll on two wheels, the Tail of the Dragon, a famous motorcycle run, is nearby. And almost any road you pick will offer great views and interesting places to stop. That’s not nearly a complete list of things to do and enjoy around Maggie Valley, but we hope it’s enough to whet your appetite. You really need to come and explore this very special part of the country for yourself, and see why so many people love these mountains. Check out our selection of cabins for rent and let us help you make your vacation a truly memorable one! Interested yet? Well, give us a call today at 828-926-6032 or you can e-mail us at keno@maggiecabins.com. Don’t delay, call Johnson Branch Cabins today! Make your reservations now so you can ensure that the week(s) of your choice are available.